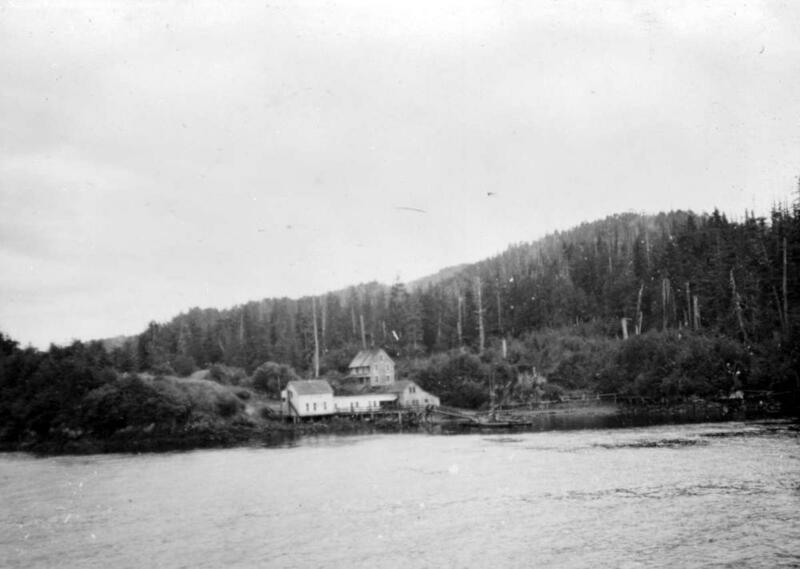 For many years Shushartie Bay was an important hub of economic activity on the North Island. 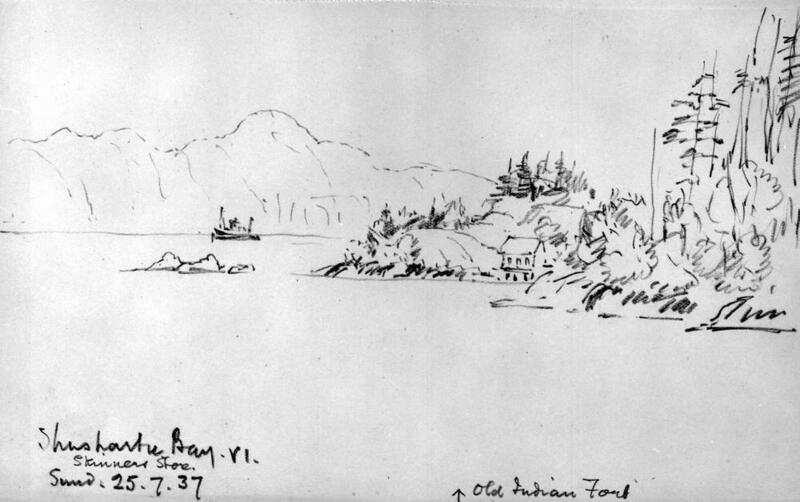 Prior to the establishment of a trading port at Fort Rupert by the Hudsons Bay Company trading vessels would often anchor at Shushartie to trade. In the early 1900s the Skinner family opened a store in the Bay and during World War I a salmon cannery operated there. 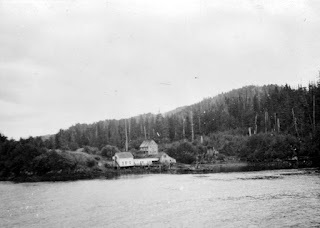 The store operated and the area was a steamship stop servicing some of the more northern island inhabitants until the 1940s. 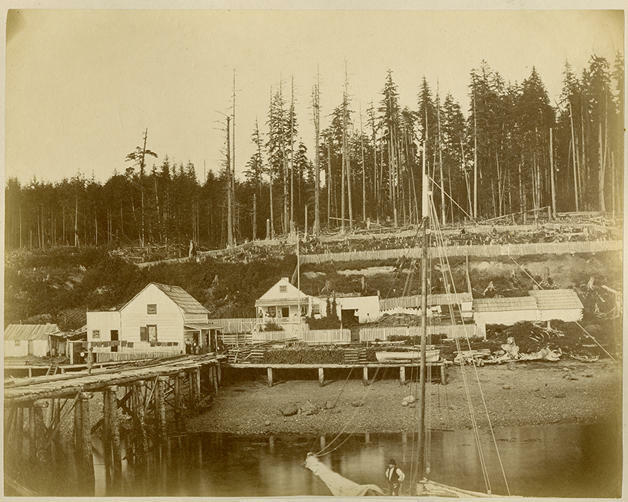 West Huson's house and store on the Alert Bay waterfront, circa 1870s. Alden Wesley Huson was born in New York in 1832. He is believed to have come to BC in the 1850s and by the 1870s was a partner in the salmon saltery and a store in Alert Bay. 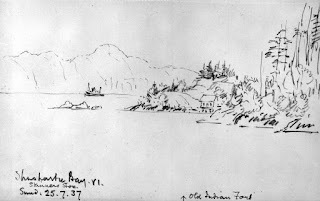 He died in Alert Bay in 1911, and the Huson Lake, which is a part of the Nimpkish watershed, is named after him.